We deliver great experiences with AEM. Enterprise web CMS shouldn't be this simple... but it can be. Already leveraging or exploring AEM? Good thinking. 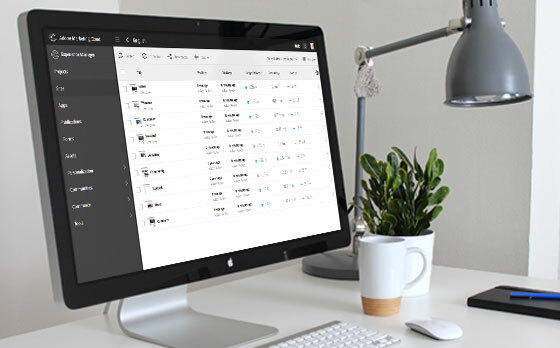 Adobe Experience Manager (AEM) is the leading content management solution for enterprises that want to easily and consistently deliver great digital experiences via the web, across all devices. And it's backed by the strength, experience, and marketing expertise of Adobe. Sony Interactive, Volkswagen and Dell are just a few of the marquee names that rely on AEM, often integrated with other Marketing Cloud products, to power their digital marketing machines. When implemented with meltmedia, AEM will make publishing fast, easy, and effective. And when you need to customize beyond what’s out-of-the-box, we can dive into the tech stack under AEM. 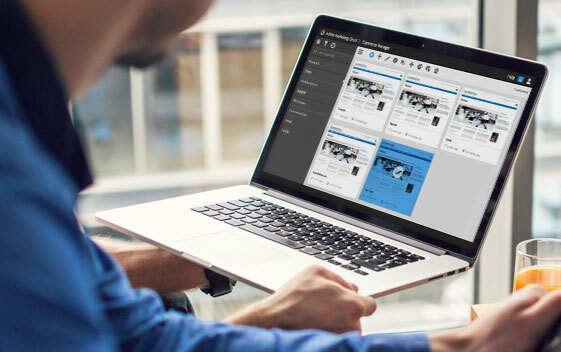 Adobe Experience Manager 6 is 100% responsive design-ready. Publish for your whole audience, across every device: Desktops, phones, tablets, and even kiosks. Integration with other marketing components like Adobe Target and Adobe Analytics allows you to make things highly relevant for each person you touch. 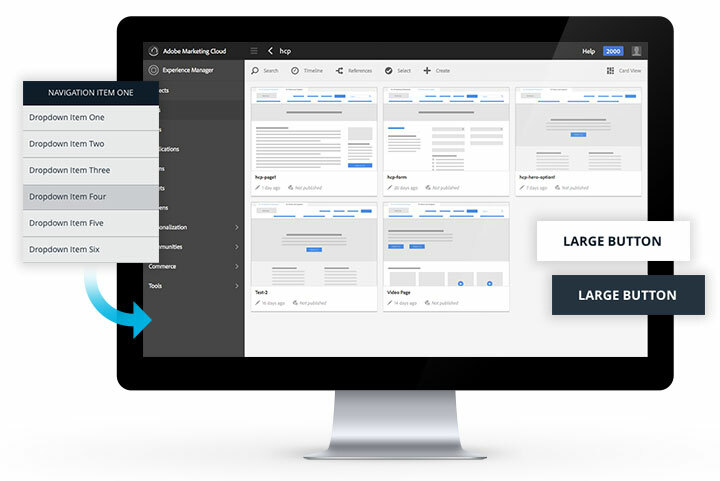 All of your digital content can flow through AEM, customized to each viewport and personalized to each user. Scalability can be a requirement on multiple fronts: From a large community of authors, to a massive amount of content, to spikes in traffic due to campaign or social media wins. AEM is enterprise-class software architected to accommodate scale where you need it. For each scaling scenario the limiting factors have been identified and the solution patterns laid out to ensure that your audience members receive seamless delivery, even if they’re not the first to the party. melt delivers a program, not a project. A website is a project. But rolling out an enterprise web CMS requires a thoughtful program, orchestrating all the players toward a sustainable, effective result. Below is an overview of our program management approach and highlights of our program best practices. Ready to discuss this in depth? Call us – (602) 340-9440. Our holistic program approach covers: Transition (from legacy agencies), Site Management, Template and Component Development, Process and Change Management, Roadmap and Backlog, Governance, Budget, Release Management, Testing, Iteration, and Comprehensive Training. Below, we focus in on a few key areas. meltmedia manages the entire program by maintaining a roadmap, as well as a prioritized backlog. This approach allows for long-term visibility to all stakeholders while still providing flexibility. Our proactive management allows us to handle multiple sites with frequent releases, while coordinating global releases that impact the whole platform. Measurement is essential to improving results. And acting on those metrics can only be achieved if you are able to divine insights from your metrics. meltmedia works with you to make sure the proper tools and tagging are in place to give you a clear picture of how your site/implementation is performing. Then we work with you to take action based on your insights. Our people truly live to make great experiences! AEM is software and we know software. We’re not all engineers, but a lot of us are! While we have full Business, Project Management and Design crews, we have a large team of frontend and backend developers. We also stand out via our dedicated crew of Quality Assurance engineers who perform human and automated testing for everything we do. Having a deep technical bench means we don’t have to go outside of meltmedia to seek expertise. AEM fulfills the mission of being a standalone enterprise web CMS, but integration with other tools empowers your digital marketing. See what we can do with AEM! We're working with Genentech to scale their growing web presence by rolling out Adobe Experience Manager (AEM) as their enterprise content management platform. Got a project? We're ready to listen. Ready to talk about your AEM or CMS needs? Pop your email into the field below we'll be in touch shortly.